Scott and Brianna Beal with 7-year-old son, Spencer. Scott Beal jokes that thanks to his son, he no longer has a name. Not that Scott or his wife, Brianna, mind. The story of their 7-year-old son has touched many families in the couple’s hometown of Dover, Ohio. Born with a form of dwarfism, Spencer has faced numerous challenges caused by the condition. But this deep, caring and compassionate child has overcome every one with the support of his family and Akron Children’s Hospital. To give back, Spencer and his family are Change Bandits for the upcoming “Have a Heart, Do Your Part” Radiothon, Feb. 9-11. While dwarfism is typically discovered before birth, Spencer wasn’t diagnosed with Achondroplasia, a form of the condition, until he was 5 months old. 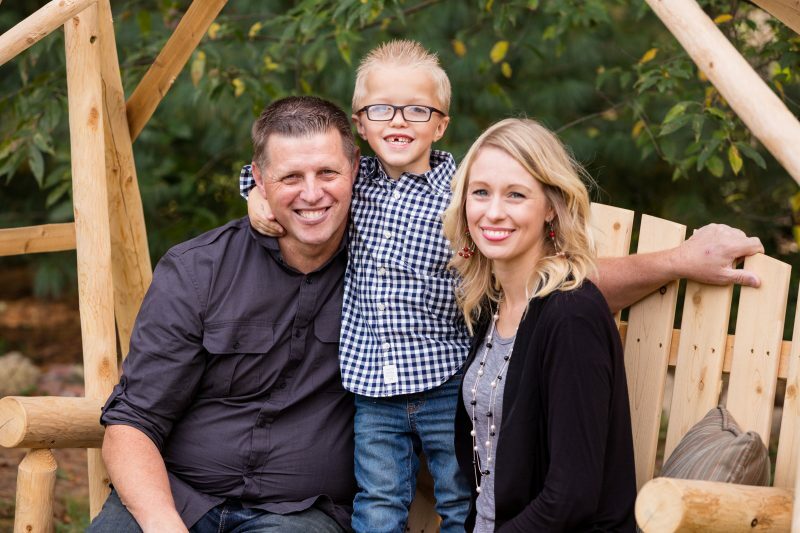 During the family’s first trip to visit the specialists at Akron Children’s skeletal dysplasia center, Spencer stopped breathing in his car seat. He underwent neurosurgery to correct the issue, which thankfully caused no lasting effects. It was the first of 10 surgeries Spencer would undergo in the next 6 years. 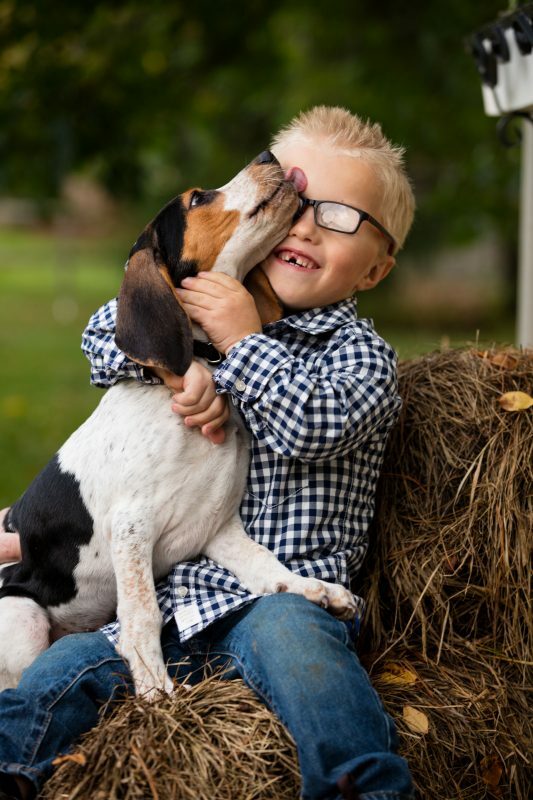 Through it all, Spencer’s bright personality and sweet spirit made it easier on his parents and his 6 siblings, as did the team at Akron Children’s skeletal dysplasia center. Scott and Brianna are quick to praise the care they receive at Akron Children’s, particularly from Dr. Schrader and Dennis Weiner, MD, co-founder and co-director of the skeletal dysplasia center. Now, the Beals will be giving back to the hospital as Change Bandits for the upcoming “Have a Heart, Do Your Part” Radiothon. Brianna said it’s the least they could do to help the people who’ve done so much to support her family. Hear Spencer’s story – and those of other patients – by tuning in to the 18th annual 98.1 KDD “Have a Heart, Do Your Part Radiothon,” broadcast live from Akron Children’s Hospital Atrium Feb. 9-11. 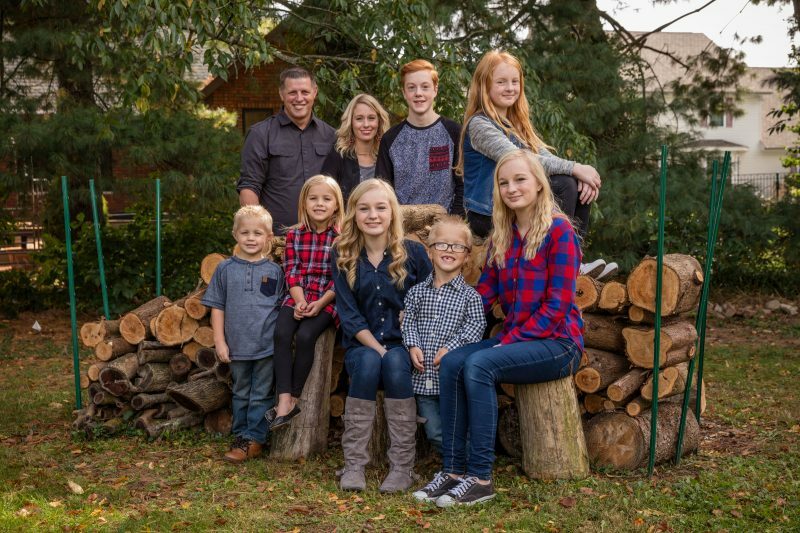 The Beal Family lives in Dover: (Back – left to right) Scott and Brianna, Jake (16), Jordan (12), (Front) Chance (4), Macy (5), Genna (14), Spencer (7) and Grace (14).